Scandic Kungens Kurva has had a real facelift. Take a swim in our pool or relax in our sauna. Next door to IKEA and just 20 minutes away by car from Stockholm city. Plenty of parking spaces at no extra cost. Unwind in our sauna, take a dip in our indoor pool, exercise in our gym and end your day with dinner in our restaurant. 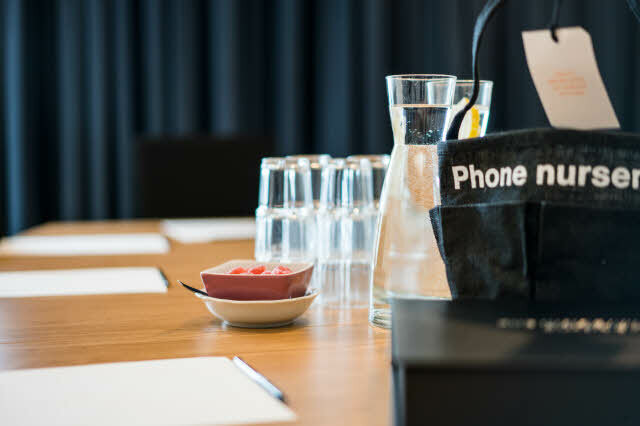 Meet with your colleagues in our conference centre here at the hotel, with 11 meeting rooms for up to 120 people. We offer WiFi to all our guests at Scandic Kungens Kurva. Scandic Kungens Kurva is located just south of Stockholm, 10 minutes by car from the city and 20 minutes by bus from Stockholmsmässan Exhibition and Convention Centre. Located right by our hotel is Heron City shopping centre, offering something for the whole family with restaurants, cinema and shopping. The Kungens Kurva area is also home to the largest IKEA in the world. Our hotel was renovated during 2013/2014. Satisfy those hunger pangs with one of our restaurant's carefully prepared dishes. Relax for a while in our lobby bar. We put plenty of time and effort into our breakfast buffet, to ensure you get a good start to your day. Our hotel is ideal for small- to medium-sized meetings, offering bright and airy rooms for up to 120 people.